Note: Today was the day of the official apology to those whose suffered as a result of forced adoptions in Australia. These people – mothers, fathers, children – all went through the most dreadful trauma, and it’s not my wish to minimise or crowd in on that in any way. They deserve apologies from all of us, our unconditional support and love. But something struck me during the speeches. Everyone spoke of the past, as though adoption was no longer a problem. As though women no longer suffer. Sadly, this is absolutely untrue. Australia’s adoption system is an utter, heart-breaking mess – and while they may no longer resort to brutal and illegal methods, there is still coercion, and judgement and trauma. With that in mind, I decided to adapt an old article. I hope that those who suffered under forced adoption will take this in the spirit it’s meant – a story that warns us we have not, perhaps, come as far as we should from those terrible years. Today, every State has its own set of legislation and guidelines. In some states, adoptions are done the old-fashioned way: the birth parent never knows who’s bringing up their child, and never sees them again unless that child wants to track them down after their 18th birthday via a private registry. In Victoria, so-called ‘open’ adoption is the rule: the birth parent sets out their preferred criteria in adoptive parents, meets with them beforehand, and has regular access with the child. That sounds much more compassionate all round, but it’s a deeply flawed system. My older children, triplets, were taken from me when they were babies. I wasn’t shackled to a bed. I wasn’t pumped so full of drugs that I had no idea what I was signing. There were no nurses guiding my hand to sign papers I couldn’t even see. I was awake, free to move and speak. Even so. I had no choice. My attempts to reach out for help as a single woman, desperately trying to raise triplets and fighting off post-natal depression, were rewarded with judgement and unrelenting pressure. A cascade of intervention from the Department of Human Services ensued which was so streamlined that, in retrospect, I wondered if there was a checklist being followed by the caseworkers. First a few hours’ respite care, then a weekend’s respite, then a week with a foster family, then a couple of months with my family – all of which occurred while I was left to find my own way of coping with the increasing guilt and sense of failure. No counselling. No support. Nothing but condemnation, as though I’d deliberately decided to make trouble for them. I wasn’t a good housekeeper. I wasn’t thinking ‘enough’ about my children. I wasn’t ‘making an effort’. And, of course, the implicit criticism – I’d fallen pregnant while single, without a partner, and was now unable to work. I was a drain on the system. Then the ultimatum. Take them back in the next 24 hours – regardless of my living circumstances (I was sharing a house with four other people, trying to save money) or mental health (a doctor had finally decided that perhaps I did need medication). If I didn’t do that, I would have to agree to have them adopted under Victoria’s open adoption laws, or have them taken away and never see them again. I opted for what seemed to be the best choice at the time – adoption under Victoria’s scheme. A new case-worker came on board, to help me fill out a form listing my preferred criteria for the children’s new family – their religious belief, their location, their attitude towards queer sexuality, etc. I tried to balance my concerns with fairness – asking for an open mind on all religions, an accepting attitude towards queer sexualities, living in the greater Melbourne area, that sort of thing. The case-worker took that form away and came back with three families. Not one fulfilled the majority of my preferred criteria. For example, two were practising Christian families, and one lived in rural north-west Victoria. When I rejected them, I was told that they were my only choices, decided by DHS, and that if I didn’t select one, the choice would be made for me. No further investigation would be done. Again, I chose the best outcome out of a group of bad choices. I met with the prospective parents, who seemed friendly and enthusiastic about the open adoption scheme. They agreed to my visiting four times a year, and exchanging letters and photos. DHS informed me that the first few visits would be supervised, but then the Department would step out and the family and I would work together in the future. That was the plan. The reality was very different. Trying to arrange access was always a fraught process. I was forced to rely entirely on the DHS worker, who often did not pass on to the family my requests for a visit. Actually being with the family was nothing short of distressing, as we struggled to adjust to the situation. No counselling was ever offered to me, though the adoptive family were given a great deal of support. My visits, which usually lasted less than an hour, were always mediated by DHS, and the adoptive parents watched me like a hawk the whole time. And then things took a turn for the worse. The family started to make excuse to deny me access. Though I had insisted on visits being part of the legal adoption order, I was unable to enforce that order. In four years, I saw my children twice. My complaints to DHS were met with declarations of impotence – there was nothing the worker could do, apparently. Consulting a solicitor didn’t help, either. The laws were in such a sorry state that there was little way of enforcing that legal order. As the years wore on, it got worse and worse. The family refused to allow me direct contact – everything had to be done with DHS as an intermediary. The access stopped altogether, and for months the DHS worker would not even return my calls. Finally, the worker and her supervisor turned up on my doorstep, and informed me that the family had ‘relinquished’ two of the children, who had been placed in foster care. Two months ago. I hadn’t been told because – despite legal orders – I didn’t have the ‘right’ to know if the family explicitly said they didn’t want me to be told. My parents immediately offered to have the two children – now nearly 11 – stay with them. I had neither appropriate living arrangements nor the financial ability to care for them myself; I’d recently married, and we were expecting twins within two months. We went to court for that, where the Magistrate repeatedly stressed the ridiculous and confusing nature of the laws – which, even now, allowed the adoptive parents a say in what happened to these children that they had told DHS were effectively ‘orphaned’. We won that court date, but I’ll never forget the Magistrate’s puzzlement and frustration. The two who went to live with my parents started talking – and they unfolded a tale of emotional and physical abuse that horrified me. This was a family that had supposedly been vetted thoroughly by DHS, who were presented to me as an ideal choice – and I’d taken the Department at its word. This was the family who were ‘better’ than me at parenting – and for years, I’d been told the children were better off. I immediately contacted DHS, and told them I was worried about the third child. The Department’s response was that, unless contacted by someone ‘in the child’s life’, they could not do anything other than request to see the child. The parents were free to refuse – and they did. I fought for two years to even see my child, while my other two were under care of counsellors. In the end, that child took matters into their own hands, and ran away to be with their siblings. We informed DHS and the police that my parents were happy to care for all of them, and for once, the parents didn’t fight. But in all of this, there was nothing I could do. I could pass on the terrible stories of the abuse meted out by these adoptive parents. I could plead with DHS to intervene, to at least contact the teachers at their school. I could write letters begging the adoptive parents to let me have access, or at least to let the DHS worker in the door. I did all of those things, and they were all utterly useless. The adoptive parents were aided and abetted by the system. My children are now healthy adults with their own lives. Our family are committed to each other, even though we are thousands of miles apart. All of this is not because of Victoria’s adoption system, but despite it. And we all have scars. Looking back now, it seems as though the decision to institute ‘open adoption’ was little more than someone’s thought bubble. In theory, the idea that a child can have access to both birth and adoptive parents has much to recommend it. The reality is that there is no support for birth parents, that court orders are not worth the paper they’re written on, and the screening process for adoptive parents is sorely in need of a complete overhaul. And that’s just for a start. Children deserve to be protected by the State, not allowed to suffer abuse while it turns a blind eye or throws up its hands in defeat. This is only my story. I know it’s happened to others, who have contacted me in the past, but it’s not my place to tell their stories here. I wanted to tell my story. While we think about the horrible injustices of the past, we also need to make sure that our current laws are uniform across the States – and above all, that they work. We need also to make sure that those who are supposed to be there to help us do so in a compassionate, non-judgemental way. Let’s support all our parents, and all our children. Being single shouldn’t be a licence to be treated poorly. Let’s be the village who raises the child. When is a knife not a knife? When it’s a sword, apparently. Remember back in 2010, when Education Minister Julia Gillard and the Faceless Men of Labor ‘knifed’ then Prime Minister Kevin Rudd? The lurid headlines trumpeting, ‘Assassination’? 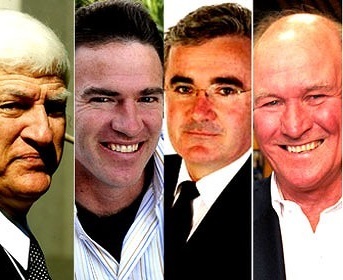 The pundits crying, ‘J’accuse!’ at everyone from Labor junior Ministers to union officials? Of course you do. After all, it’s not like any of us have been allowed to forget it. As recently as two weeks ago, we were treated to yet another reminder courtesy of the Coalition, complete with dire warnings that federal Labor will ‘inevitably’ see Gillard suffer the same fate as her predecessor. Back up a second. Let’s remember something. Rudd may have been urged to go, but he didn’t lose a leadership challenge. He resigned in the face of loss of confidence from his party room. Splitting hairs? Maybe, but hold that thought. 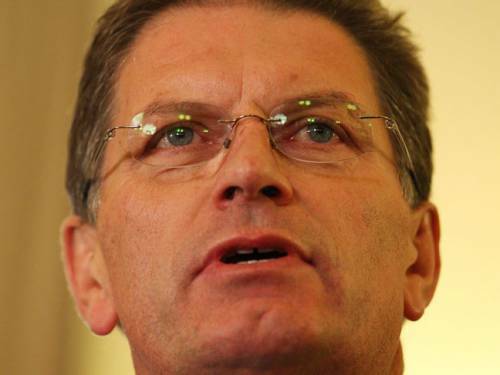 Last night, Victorian Premier Ted Baillieu also resigned from his leadership position. An earlier leader, Denis Napthine, emerged from the party room as the new Premier as a tearful Baillieu made his farewells. The headlines made it clear. Baillieu ‘walked away’. He ‘fell on his sword’. In the face of loss of confidence from his party room (not to mention potential corruption charges and a continued slump in the polls), he resigned. It’s not the same at all, clamoured the Coalition. 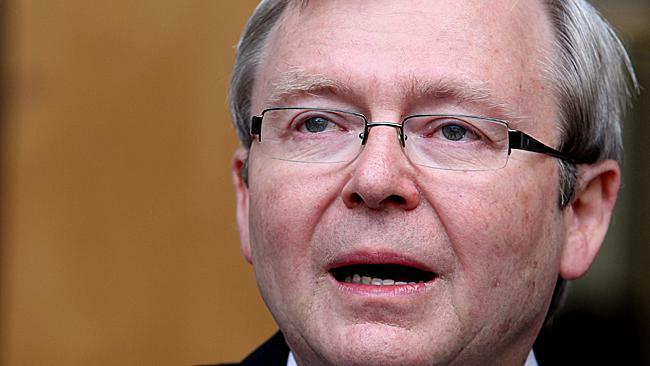 Rudd was ‘executed’. And anyway, he was a bad PM. Baillieu was a good Premier, a ‘man of integrity‘ who had ‘put Victoria’s finances on a sustainable footing and made significant investments in infrastructure,’ to quote Federal Opposition Leader Tony Abbott. Never mind the fact that earlier the same day, Victoria officially slipped into recession. It’s not nice to say bad things about an outgoing leader – unless that leader happens to be from the Labor Party, according to the Coalition playbook. So let’s get this straight. When a Labor leader resigns under pressure from his party, he ‘gets knifed’. When a Liberal leader does the same thing, he ‘falls on his sword’. Is it just me, or is there something just a little ridiculous about that? The Coalition will now reap everything it sowed when it sought to capitalise on the resignation of Rudd. The new Premier, in power under the same circumstances, is well and truly open to allegations of ‘assassination’ and ‘execution’ – and let’s not forget, Napthine himself was rolled as leader after poor polls and a split in the Coalition. Already, the accusations are flying thick and fast in the Victorian Parliament. At least The Australian, ordinarily a bastion of Coalition support, didn’t go along with the ‘when-is-a-knife-not-a-knife’ spin attempt. Peter van Onselen was frankly incredulous at the turn of events in Victoria, describing the state Coalition as ‘rats in an experiment that did not learn from their mistakes’. 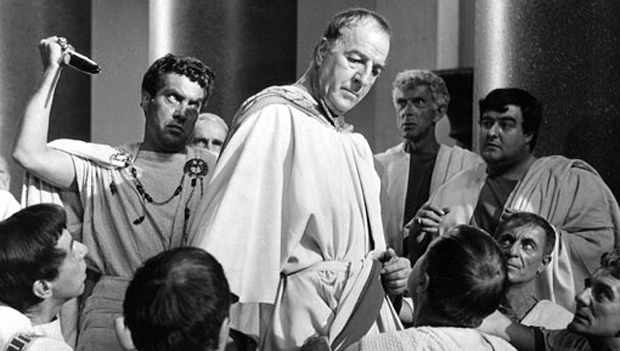 The frantic efforts to paint Baillieu as some kind of courageous and noble Roman general (notably absent from Parliament today) just won’t work. And the Coalition only has itself to blame. It wrote this script back in 2010, and ever since, have hammered it into public discourse without once stopping for breath. What goes round, comes round, as they say. The big question, of course, is what – if any – effect this will have on Federal politics. It’s possible there will be none. Abbott’s very good at deflecting media attention, and Gillard risks a backlash from voters if she adopts the dramatic language usually directed at her. Neither stands to gain much (pending an early change of government in Victoria), and Abbott’s ‘sustainable finances’ gaffe is already the stuff of ridicule – so it won’t be long before he drowns it out with yet another criticism of the ‘carbon tax’ or the mining tax. There is, though, one crucial lesson that we should take to the next Federal election – the knowledge that neither party can claim any sort of moral high ground in terms of loyalty to the leadership. Whether it’s resignation through coercion (as in the case of Rudd and Baillieu), or loss of position through a leadership spill (Nelson and Turnbull), ultimately doesn’t matter. Both parties are ruthless, and will do whatever it takes to gain (and hold) power. No leader is ‘safe’. In states unborn, and accents yet unknown! You are currently browsing the The Conscience Vote blog archives for March, 2013.